RCM and London Underground — Infinite Automation Systems, Inc.
RCM are an industrial monitoring service provider in the UK. 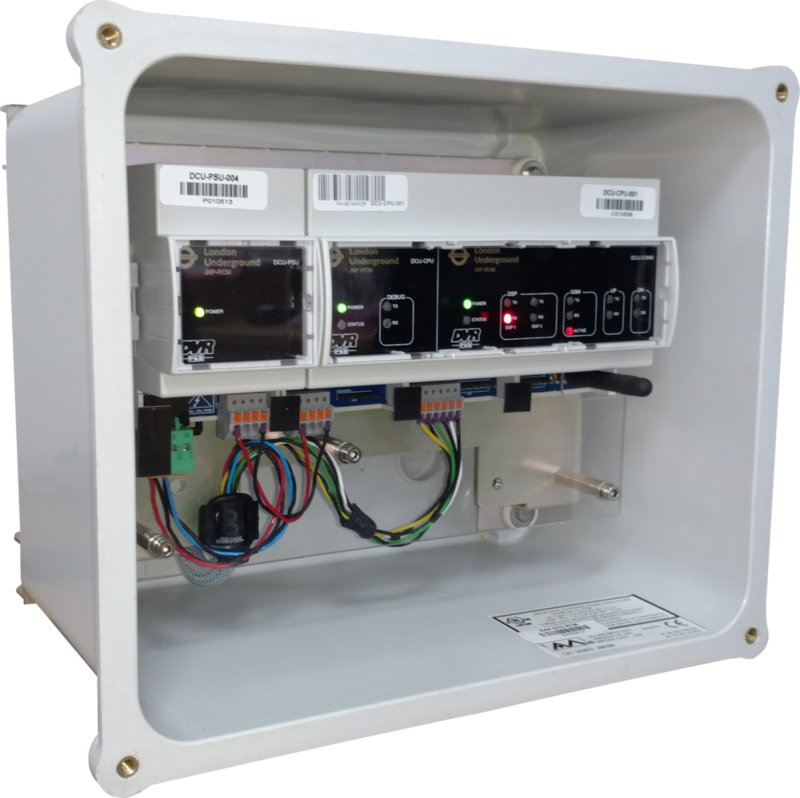 Beginning life as a product design team at an electronics manufacturer (DVR Ltd), they chose to specialize in Remote Condition Monitoring. Using their wide ranging skill set, they develop and manufacture complete monitoring solutions from the data collection hardware all they way through to front end software. RCM utilize the power of Mango from Infinite Automation Systems to capture and analyze 8 million data points per day from safety systems on London Underground. Their work is helping to reduce the number and duration of line closures on a rail network that transports millions of people every day. Insights into the failure modes of axle counters have been gained that were not possible before. Though investigation of past hardware failures, it is now possible to recognize and prevent failures or enhance readiness to deal with them when they occur. To achieve these goals, RCM built a modern web based software package that integrates asset management and monitoring. Taking advantage of Mangos RESTful API, their initiative systems are tailored to enable end users to enter devices, attach monitoring equipment and start collecting data without assistance or complicated configuration. This is a screen capture of the asset monitor software in use. Included below are some screenshots which are all self-explanatory. The core of the software is an asset management system to which we can add plug-in modules. 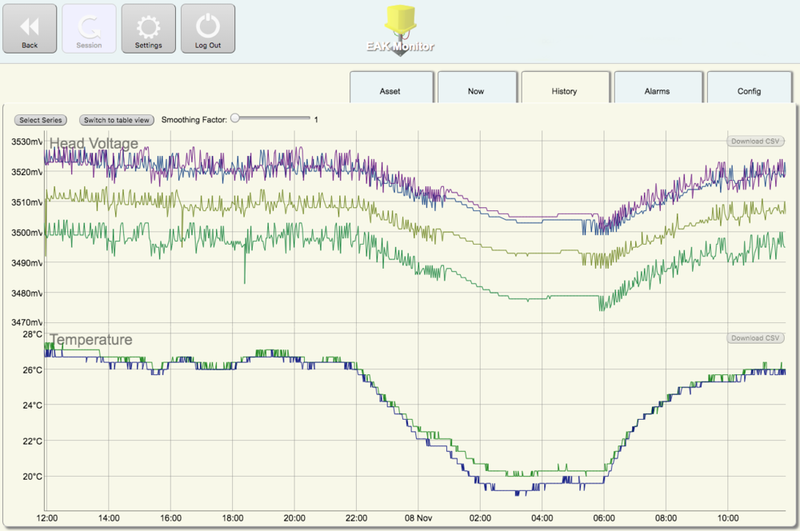 The ‘now’ and ‘history’ screens shown are provided by a plug-in for EAK monitoring. This allows us to provide customized solutions to other clients for monitoring any other device types. "To provide London Underground with the service they require, we needed to partner with a forward thinking data storage and analytics solution provider. Mangos real time API makes what we do possible. Mango has proven to be a robust, high performance data storage solution. And Mango has helped me in ways I never expected it to. The charting, real time watch lists and administration capabilities of the Mango web interface have been a real help to us while developing of our own front end. They help us understand the data we collect so we have been better at focusing our front end on showing London Underground technicians what is important to them. "Automated incremental back ups and low resource usage keep our systems administrators happy too. All in all, we're very happy with the software and support we receive from Infinite Automation." This shows the wiring loom from the DCU connected to two serial ports inside the EAK. This shows is a close up of the DCU with lid removed showing the all-important blinking lights. The DCU is designed and manufactured by DVR. It had to pass intense vibration, EMC and environmental testing before any deployments were allowed. It uses GPRS to communicate back to our server but is upgradable to 3G or 4G services by swapping a module. Power for the DCU is scavenged from the EAK so the DCU is not allowed to draw more than 2 watts. It is comfortably within that limit. this shows both with their lids taken off exposing the modules inside. this is a close up on the 9 pin D-Sub connectors. These were a particular problem because there is insufficient space inside the EAK housing to use any standard connectors. During manufacture of the loom, the connector back shells are moulded directly onto the D connector with the wires exiting the side. It also gives extra protection against vibrations. So that’s a little example of DVRs ability to customize every level to bespoke customer requirements. 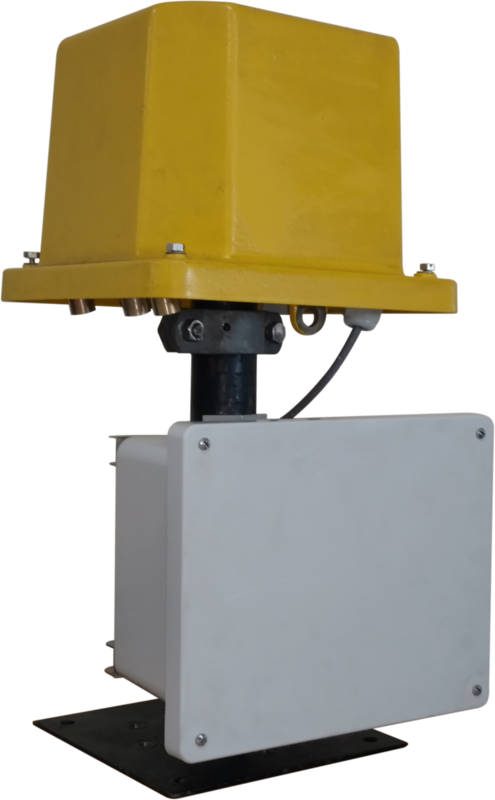 this shows the Data Collection Unit (DCU) mounted onto the bottom of an EAK (Axle Counter, German acronym) as it would be deployed track side. The thing with the yellow lid is the EAK and the boring looking grey box (not chosen for cosmetics) is our DCU.